Sticking to our budget is key for traveling long term, so we’ve limited ourselves to an average of $100 per day for accommodation, food, drinks, public transportation and any miscellaneous costs that pop up (and they always do). The only thing that takes precedence over the budget is whether or not we’re enjoying the journey. After compiling our Southeast Asia travel budget report, we can report that we are excelling in both categories. After our lengthy stay in New Zealand and Australia, we pushed our daily average above our target, but two months in Southeast Asia put it right back on track. In 62 days, we visited Singapore, Malaysia, Vietnam, Cambodia and Thailand and came out on the budget just slightly higher than we anticipated (clearly a trend), but not even close to our $100 per day allowance. Affordable accommodations are easy to come by in Southeast Asia, so it’s easy to splurge a little and get spoiled with luxury. Our least expensive booking was in the heart of the old walled city in Chiang Mai, Thailand where $21 a night got us a spacious room with mini-fridge, large private bathroom and included a simple breakfast. 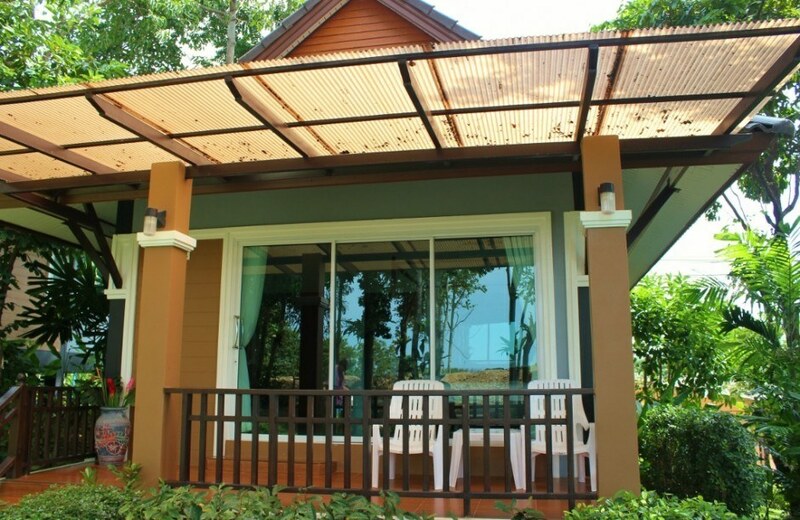 Our private cabana with partial kitchen in Koh Lanta, Thailand came in at the most, being $39 per night. The lodging numbers are skewed for three reasons: Singapore, Phu Quoc and Halong Bay. Cheap hotels don’t exactly exist in Singapore, so we opted to stay north across the straight in Johor Bahru, Malaysia. As luck would have it, a newly opened Doubletree by Hilton was offering stays of 5 nights or longer in exchange for only 4000 points per night, making our stay free of cost and hardly putting a dent in our Hilton Honors Points total. We seriously splurged in Phu Quoc and booked a $50 beachfront bungalow at a guesthouse, however, the beachfront rooms had sustained damage from a recent storm and weren’t ready when we arrived. The (much too) gracious host insisted we stay for free in the unit next door (still with a stunning ocean view) until the room was ready. Suffice it say, once it was ready, we only had two more nights and chose to stay put and paid the cheaper price, averaging our stay to only $19 per night. Our three-day, two-night cruise on Halong Bay is the serious offender in our high accommodation costs. Since the lump sum of $199 per night included the cabin, food and entertainment, we stuck the entire amount under the Lodging column. We could have divvied it up, but couldn’t quite determine how to do it. It was worth every penny, so it doesn’t really matter which column it goes under! Thank you, Southeast Asia: we finally found a place in the world where it doesn’t cost an arm and a leg to eat a decent meal out! It worked in our favor as we stayed in hotels, which eliminated home-cooked meals. Most of our hotels included breakfast (some better and more abundant than others), but even two low-cost meals a day add up in the budget, making our daily average the same for SE Asia as well as our overall trip. The upside: I got a break from cooking! A few of my favorite meals were a $2 beef noodle dish in Hanoi, Vietnam, $1 noodle pork soup in Chiang Mai, Thailand, $2 Pad Thai on Koh Lanta and the countless number of plates piled-high with chicken fried rice with cashew, never costing more than a few bucks. The fresh ingredients were limited to what is produced locally, but made all the difference in taste. Street vendors are the way to go for cheap, made-to-order, fresh food. Of course, the low cost only applies to local fare. When we needed a break from rice and went for the pizza or burger on the Western menu, we paid Western prices. 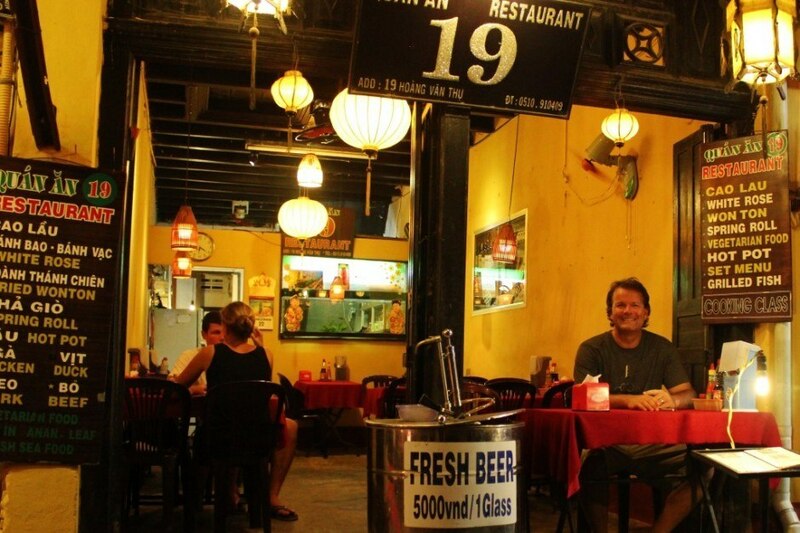 Beer is cheap in Southeast Asia. And I mean cheap. 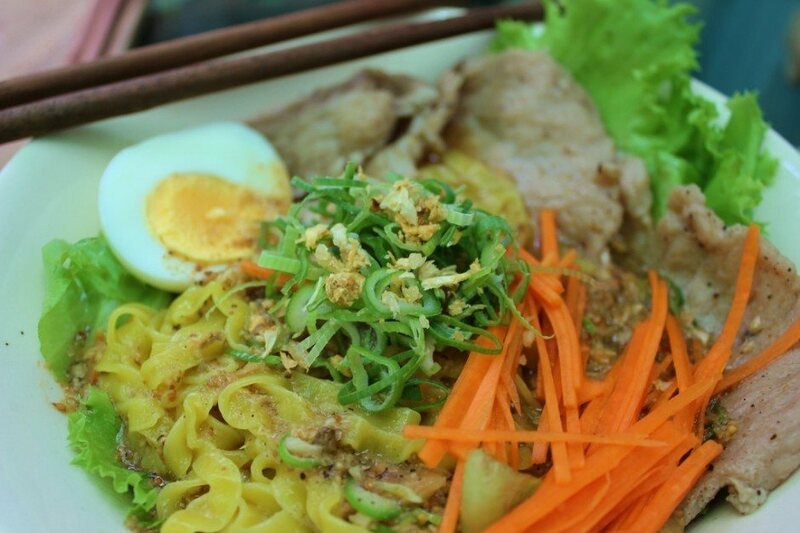 In Hanoi, Vietnam, we paid a quarter a cup for the local Bia Hoi, made fresh daily and served on just about every corner. In Hoi An, Vietnam, the Fresh Beer cost the same and, along with our Kiwi friends, we drank one place dry. Our cheapest beers in Siem Reap, Cambodia were pints for just 35 cents. Bottles of local beer always cost a little more, usually around a dollar. It was only slightly more expensive to drink on our island destination of Phu Quoc, Vietnam and, while still affordable, it was quite a bit more on Koh Lanta, where a liter of beer and happy hour cocktails were about $3 (ocean view included). The biggest hit to our Drinks category came with the boat trip to Halong Bay, where as a captive audience we paid a hefty price for beers. Roundtrip transportation is provided by the hotel…but not always in a car! We mostly relied on our own two feet to move about the cities, but there were a few instances where we used the public transport or hired private drivers. Most of our hotels included round-trip airport transportation, except on Koh Lanta where the private car from the Krabi Airport to Klong Khong Beach cost $80. 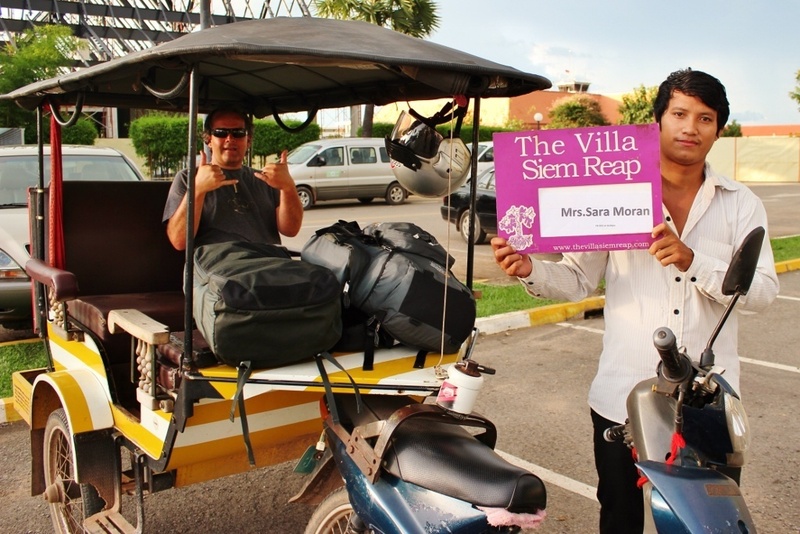 We hired drivers a few other times when sites were further than we could walk, like in Chiang Mai to visit the mountain temples and in Siem Reap for a day tour of the ancient temples. In Singapore, we used public transportation to get from our hotel in Johor Bahru, Malaysia into the city center and, although it took a significant amount of time (two hours each way) and required a border crossing, it was efficient and inexpensive. Our quick two-night stop in Kuala Lumpur, Malaysia had just as efficient transportation, but came with a high price tag of $22 round trip to get from the airport to the city. We got a little tour happy in Southeast Asia for two reasons: they were inexpensive and without a tour/tour guide, we wouldn’t have been able to get the full understanding of what we were seeing. Without a doubt, we can honestly say that every tour we did was well worth the money. The day trip to the Cham Islands, Vietnam was $25 each; the Vietnam Central Highlands tour was $35 each; our trekking trip from Chiang Mai was $30 each and the Four Island tour on Koh Lanta was $30. 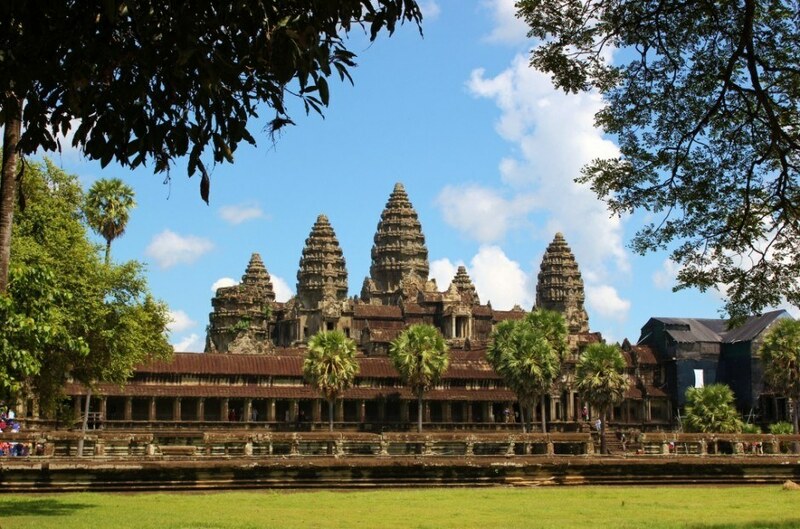 The most expensive tour was Angkor Wat, as we paid for entry, a personal guide and a hired driver, which came to a combined cost of $140. Note: If we would have entered our Halong Bay trip into the Entertainment category, rather than Lodging, our total spent would have increased by $400 and our daily average would have doubled to $14 per day. However, our Lodging costs would have decreased to an average of $26 per night. Southeast Asia is affordable, but more than that, it has been one of our best experiences so far on our journey. Going into it, we had so many doubts and fears regarding the language barrier, the food, the people…the foreignness of it. But, we found ways to communicate, the food was phenomenal, the people were extremely kind and as foreign as it was….it was fascinating. Add in the low cost of living and it becomes a viable option for longer term stays. We spent a bit more than we needed to for housing, but we are accustomed to a level of comfort that includes privacy (no dorms, no shared bathrooms). Prepared food (more delicious than I could ever make it) cost the same as what we’ve paid in grocery stores. Inexpensive beer prices may have encouraged us to over-imbibe a bit, but…why not?! Transportation and entertainment costs overwhelmingly enhanced our cultural experience and expanded our knowledge. Medical and miscellaneous are hardly worth mentioning since they account for such a small fraction of the budget and were comprised mostly of toiletries, sunscreen, ATM fees and laundry (which, by the way, is commonly washed, dried and folded for only $1 per kilogram – most loads are about 2 kilos). 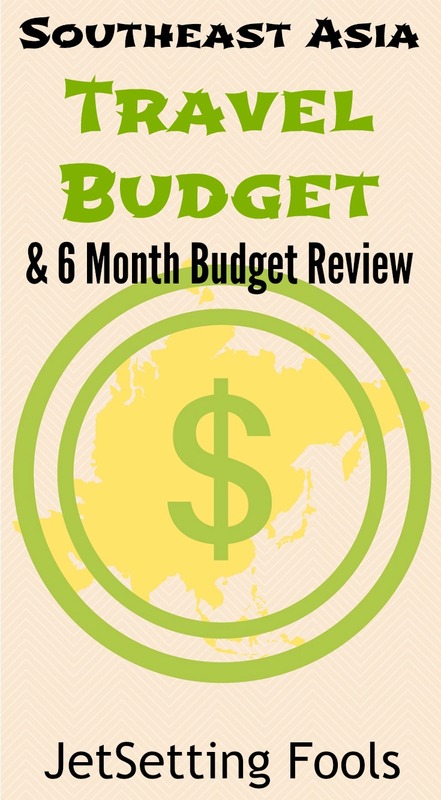 We could have spent less, but even with our binge spending on beach stays, constantly eating out, and tours galore, we came in well under budget and completely erased the excessiveness of Australia, bringing the overall budget back down under $100 per day. 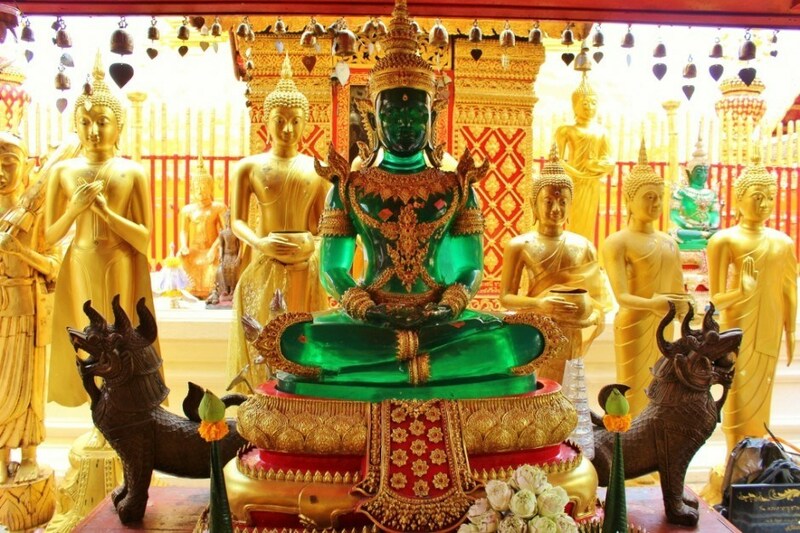 We want to know: What is/was your travel budget for Southeast Asia? Did you spend less or more? Where did you splurge? Tell us in the comments! Great job of keeping under budget — and still having an amazing experience!!!!!! The experience has been amazing ~ as well as keeping it all under budget! lol! You guys are incredible!!!!!!!!!!!!!! Travel well!!!!!!!!!!!!! !